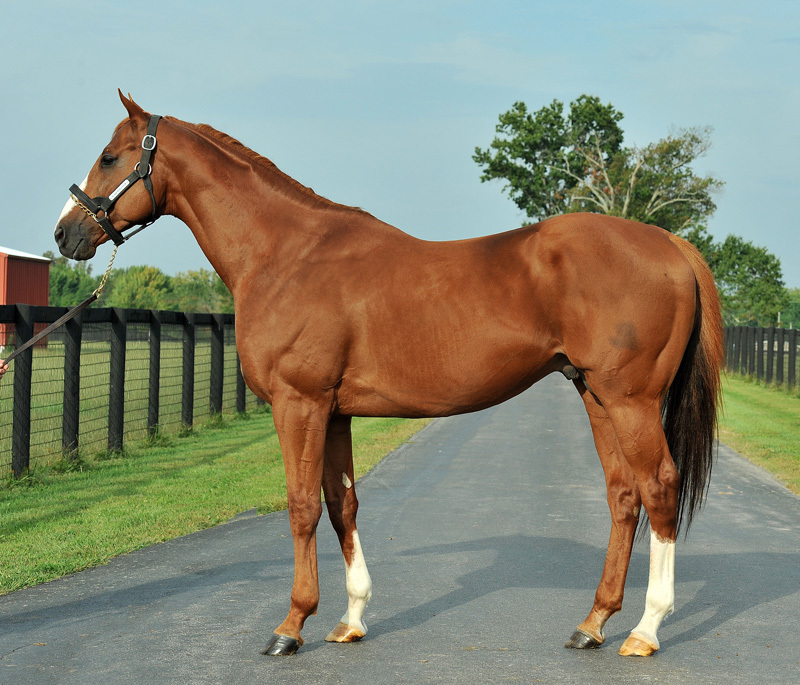 Blueskiesnrainbows (English Channel-Cho Cho San, by Deputy Minister) has moved to stand the 2019 breeding season in Sallisaw, Oklahoma, the home base of owner Kelly Mitchell’s Bad Boy Racing. He will stand for a fee of $2,500. Blueskiesnrainbows, a multiple graded stakes-winner of over $672,500, will stand at Sunlight Farm, which is managed by equine veterinarian Dr. Marcinda Mitchell. “We are really excited to move Blueskiesnrainbows to Oklahoma to be a part of their excellent state-bred program,” said Dr. Mitchell. “He formerly stood in Indiana and his first foals will hit the track this year as 2-year-olds. His foals are looking fantastic and should prove themselves very soon. Blueskiesnrainbows won all his earnings on dirt as the wire-to-winner of both the Grade 2 San Pasqual Stakes (defeating Majestic Harbor and Drill) and the Grade 2 Swaps Stakes (defeating Liaison). He was second in the Grade 2 Breeder’s Cup Marathon and third by a mere half-length in the Grade 1 Santa Anita Derby to Kentucky Derby and Preakness winner I’ll Have Another and millionaire Creative Cause. For more information, go to www.blueskiesnrainbows.com.